The port of Arenys de Mar lies forty kilometres north of Barcelona. 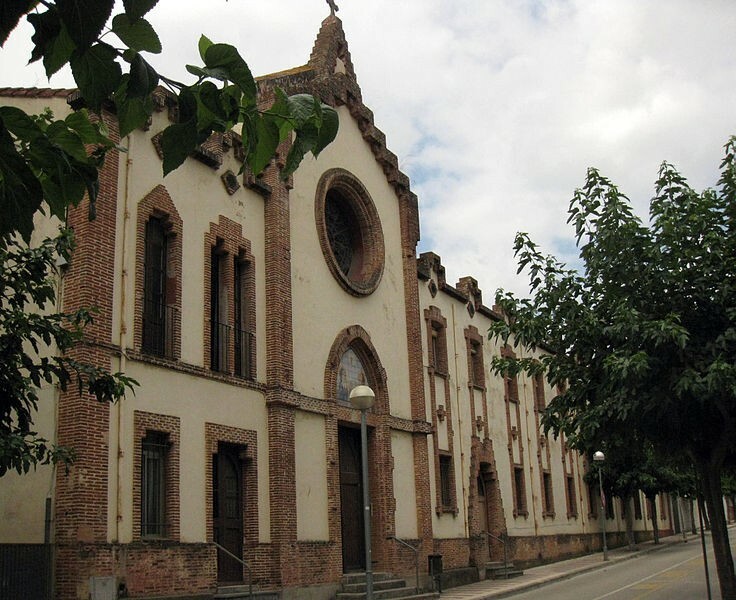 Founded in 1599, Arenys - like many other Catalan towns and cities - experienced a period of growth and artistic development in the late nineteenth and early twentieth centuries: the residential buildings in the Modernista style and the family mausoleums in the cemetery are examples. However, it was lace-making that brought fame to Arenys de Mar. As happened with the other applied and decorative arts, lace-marking underwent a complete transformation during the Modernista period. The Lace Museum (Museu Marès de la Punta, Carrer de l'Església 43) houses one of the largest collections of Modernista lace in Catalonia, mainly from Casa Castells in Arenys and from the designer Aurora Gutiérrez Larraya. Marià Castells i Simón (1873-1931) and his brother Joaquim were the owner-managers of the Fábrica de Blondas y Encajes Castells from 1903. Some of their articles, such as a splendid fan made in 1904, which won a FAD award, were published in Il·lustració Catalana. Marià's designs for clothes and household furnishings represented a complete break from the Isabeline style in which lace-making had its roots. They are a rich repertory of floral and geometrical patterns inspired by French and Belgian Art Nouveau, with its characteristic whiplash motifs, and by Symbolism, the Neo-Gothic and the Viennese Secession. The drawings, sketches, patterns, samples and photographs are preserved in the Lace Museum and allow visitors not only to contemplate the beauty of the new Modernista motifs but also to see the whole process of lace production from beginning to end. Another well-known name in lace design was Aurora Gutiérrez Larraya, who was born in the late nineteenth century and died in 1920. 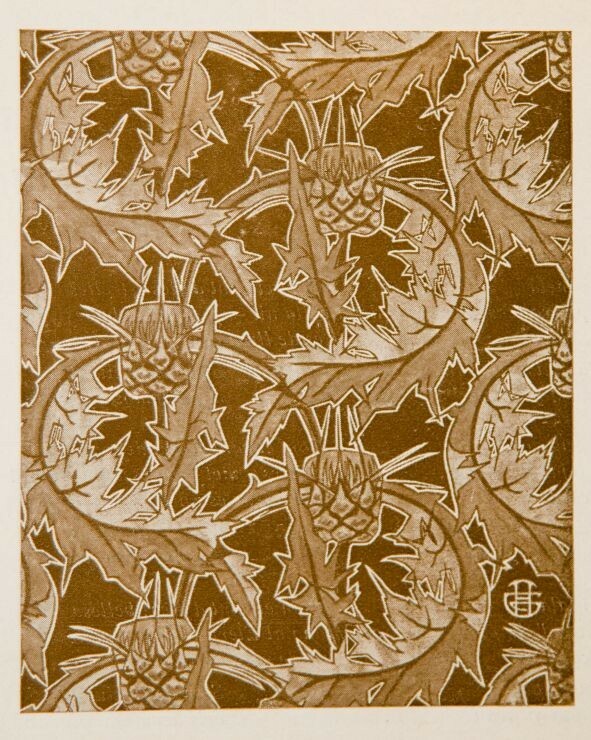 Although virtually unknown to the general public, she produced some exceptional work in the Modernista style that was illustrated in Feminal magazine, as well as splendid floral designs for fans and handkerchiefs inspired by the Viennese Secession, some of which are on display in the Lace Museum. A visit to Arenys de Mar should certainly include a stroll to its cemetery, made famous by the poet Salvador Espriu. It contains sculptures by Josep Llimona and the Vallmitjana brothers, and a slender Neo-Gothic temple by the architect Enric Sagnier with ornamentation attributed to Eusebi Arnau. 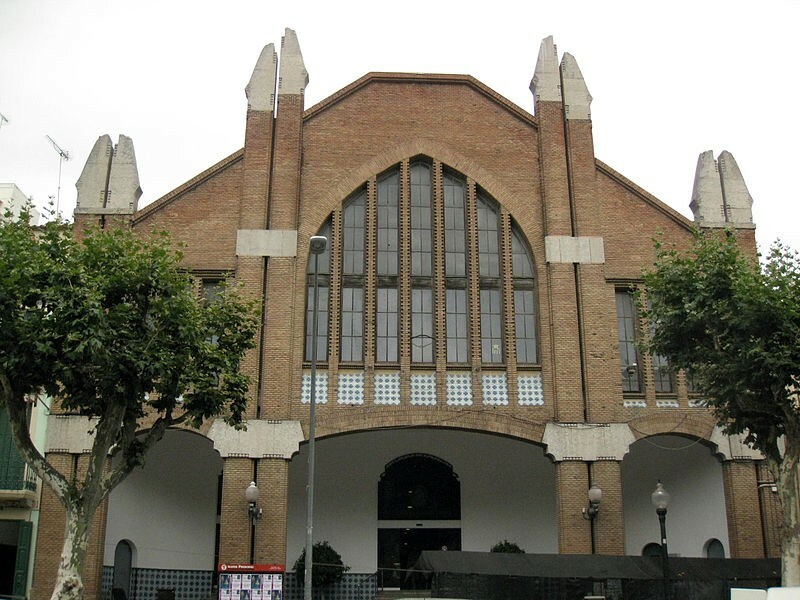 A walk along the Riera, the town's main thoroughfare, provides views of other outstanding buildings such as the Municipal Market with its monumental brick front crowned by blocks of carved stone, designed by Ignasi Mas and dating from 1925-29. 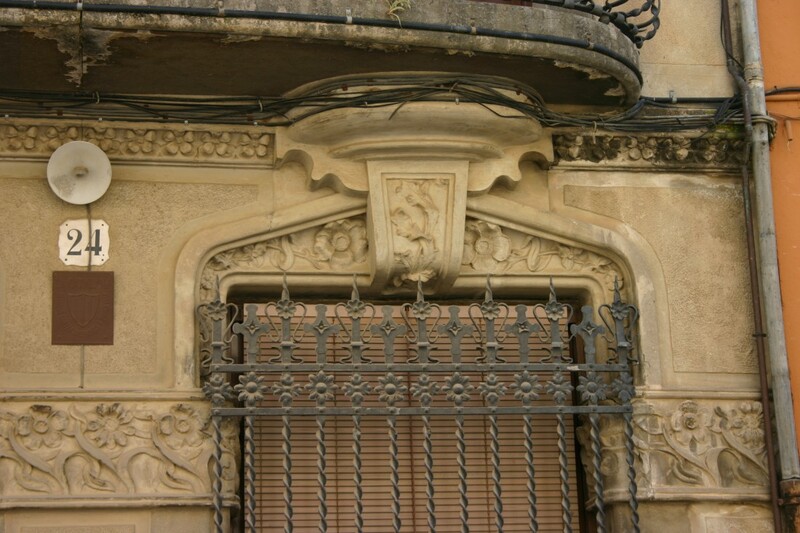 Other buildings along the way boast a wealth of decorative elements in tiles, wrought-iron, sgraffito, stained-glass, etc.